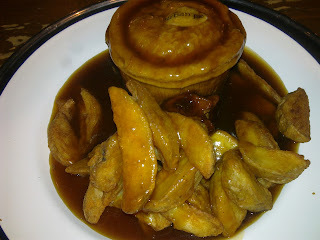 Day two of British Pie Week 2012 saw me and a friend hit Urban Pie for a bit of a late night pie feast. And with surprisingly no queue at the pie world's answer to McDonalds, even if it was at 7:30pm in the evening, it just meant we could dig in to our meatylicious (or vegelicious, in the case of my friend’s) pies all the sooner! 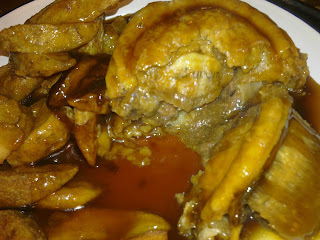 I went for a Lamb and Rosemary pie, which delightfully came on a plate, with a proper metal knife and fork and everything! While this may not sound like groundbreaking news or anything to make a song and dance about, it is the first time that I had experienced the box-less serving of Urban Pie stock. 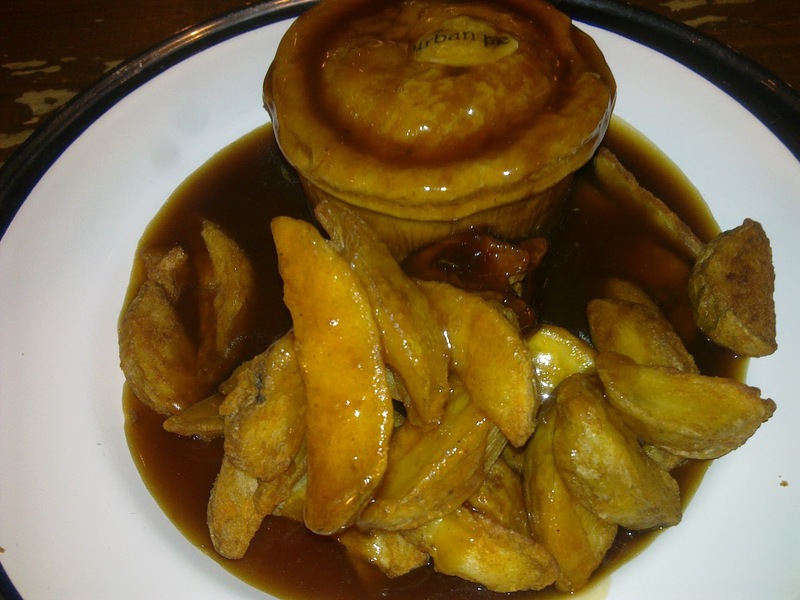 For up until now, they had been serving all pies in their infamous cardboard box/plate contraption (Is it a bird? Is it a plane? No, it’s a box that turns into a plate... sort of!) And don’t get me wrong, there’s nothing wrong with the box plate – and you can still enjoy one if you order to take away. However it is certainly classier having a nice plate and metal cutlery combo. You certainly don’t get that in McWorld. So onto the pie itself! The Urban Pie way is a thick short crust pastry all around the pie, which does taste good but can at times like today seem a little too thick and chewy. It does however always have delicious content and a well-filled capacity, and the tender lamb and lovely rich gravy certainly did the trick this time. The fresh herb of Rosemary also added to the flavour and made it a very enjoyable experience. Served up with some nice potato wedges, it was a lovely meal. My friend also enjoyed her seasonal vegetable pie with veg. Slightly pricey, but you have to pay for quality and certainly don’t come away disappointed having had a posh pie on a plate!